It is difficult to compare Boonex Dolphin to Wordpress. Dolphin is more for social networking and dating types of sites, and Wordpress is a blogging platform. Obviously both can be used for a variety of other types of websites if you want to spend some time making changes. I really could be here all day comparing one another. There would be those that like or prefer one over the other, and they would likely argue back and forth for days. I recently added Wordpress to this site which can be found at http://www.dialme.com/blog/. I was a little reluctant to do so at first. I opted to add it in a subfolder/subdirectory rather than a subdomin, which I think was a better choice. Since adding Wordpress to this site there have been noticeable changes in traffic and seo just to name a few. For example, when I post something on this site with Dolphin it takes Google anywhere between 2 hours and 2 days to find and index it. When I post something on this site with Wordpress Google finds and indexes it in 5 mins to 30 mins. And, I haven't done as much seo optimization for the Wordpress part of this site as I should yet. Google seems to find a new Dolphin post if it sits on the main page/home page for a while. If it is not a type of post that shows up on the home page or it quickly drops off due to new posts it seems to take much longer. The further it gets buried in a deep link the longer it seems to take Google to find it, which is understandable. Dolphin has so many modules with deep link structure, and many people install more modules than they need or use. 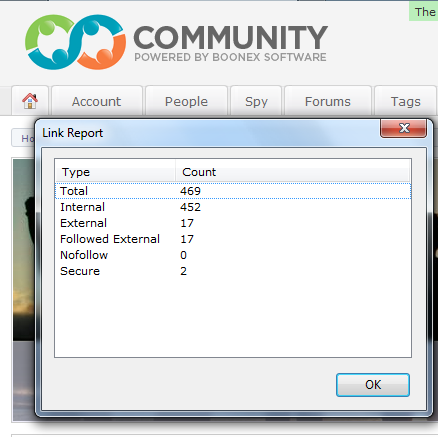 Here on the Boonex Demo homepage at the time of this posting there are 469 links. 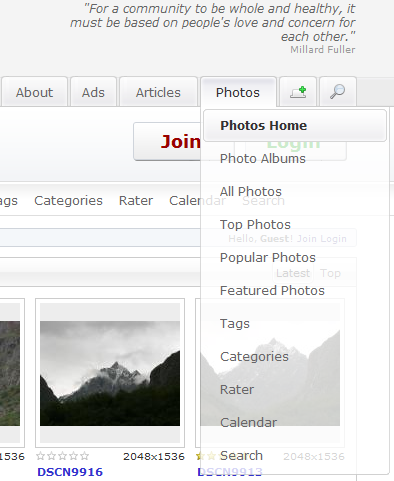 When I go to the Photos Home page there 280 links on the page. And just looking in the top navigation menu under photos there are 12 links. Actually 11 links, but Photos/Photos Home is the same link and used twice in the menu. There is just too many links on a given page. I only referenced a couple examples. 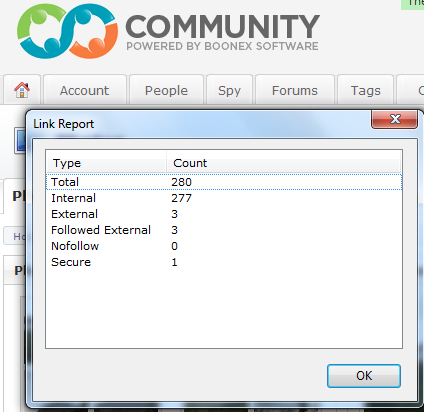 Navigate all your Dolphin modules and pages and you will end up with thousands of links, many appear more than once on a given page. All these links to crawl and spider makes it much more difficult and time-consuming for Google to find. When I compare the number of links on any page in my Wordpress install I end up with less than 100 per page. On top of that the navigation and link structure is easy to follow, not nearly as deep, complex, or confusing when compared to Dolphin. If I were going for nifty features and coolness, then Dolphin would win hands down. For optimization and seo Wordpress blows Dolphin away. Since I do like both Boonex Dolphin and Wordpress I don't have a problem with running both on the same website. Adding Wordpress to Dolphin has actually been a positive experience so far. There are a lot of differences between the two and maybe I will write something up with more details one day.